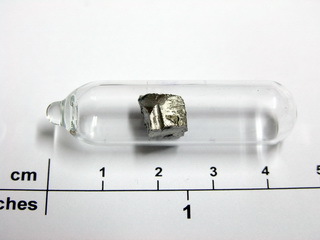 Cerium was discovered in 1803 by J.J. Berzelius and W. Hisinger at Vestmanland, Sweden. 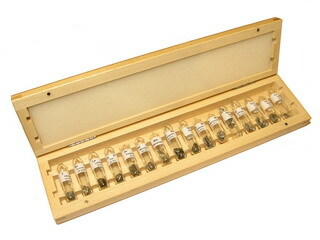 However, it was first isolated by W.F. Hillebrand and T.H. Norton in 1875 in Washington DC, USA. 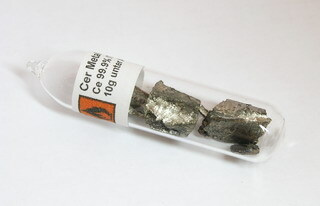 Cerium is a reactive grey metal and is one of the most abundant of the lanthanide group of metals, having an abundance of 68 ppm within the Earth's crust. 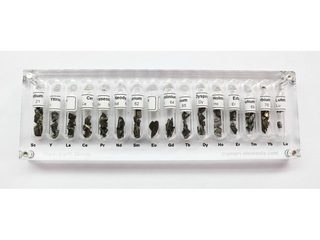 It oxidises in air, ignites when heated and reacts rapidly in water and, hence, it must be stored in an air free enviroment. 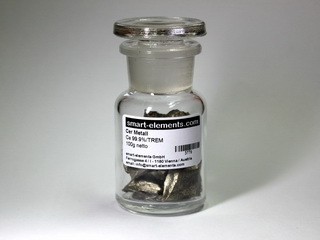 Cerium can be used as an alloying element with iron and other constituents to produce a flint material used in automatic ignition devices, and the addition of cerium to some metal alloys greatly improves their heat resistance. 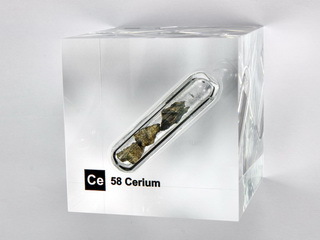 Cerium can also be used in vacuum apparatus as a "getter" for noble gases. 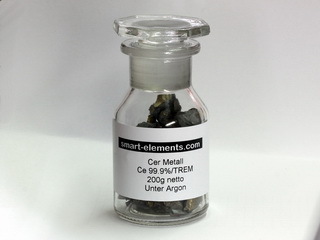 Cerium 3+ doped strong blue fluorescent glass bead NEW!